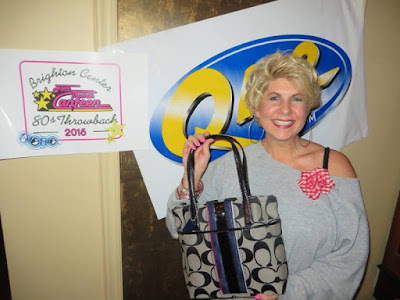 Our winner of the Coach purse at last year's party. FTM file. The first big party of the year is this Saturday, February 6 at the Highland Country Club. DJ Mark McFadden will be there and your $25 ticket gets your two drinks, food and the opportunity to help Brighton Recovery Center for Women fight heroin at ground zero. Even if you can't make the party, a ticket bought will help to combat this issue that has become a full-blown crisis in our community.